Activities to develop understanding of decimal fractions with two decimal places. Hundredths introduced as tenths of a tenth block. Use a number expander to show examples such as 0.35 as 35 hundredths. Add and subtract hundredths without regrouping. Find numbers one hundredth before and after a number. Regroup decimals such as 0.35 as 33 tenths and 25 hundredths. Game that can be played using the hundredths random dice roller on Professor Pete’s Decimals software (separate purchase needed). 4 pp. 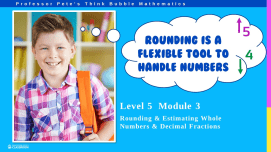 Worksheets to accompany Interactive PowerPoint Think Bubble Math 406. Addition questions of 3- or 4-digit numbers which include hundredths. Algorithm is vertical but some questions are presented horizontally requiring students to rewrite the question vertically to solve. 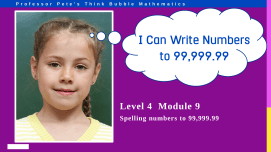 Subtraction questions of 3- or 4-digit numbers which include hundredths. Algorithm is vertical; some questions are presented horizontally, requiring students to rewrite the question vertically to solve. 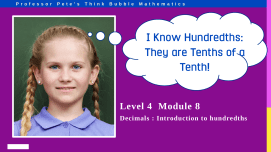 Tutorial-style worksheets to explain to students what is happening when tenths are multiplied by hundredths. Contains practice examples. 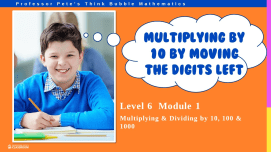 Tutorial-style worksheets to explain to students what is happening when hundredths are multiplied by tenths. Contains practice examples. 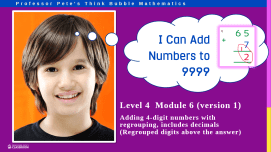 Poster set: Pictorial representation of what happens when wholes and decimals are multiplied. Resize as desired, print and laminate. Teacher notes: Strategies for the mental calculation of various mathematical questions. Multiplying by 10, 100 or 1000. Includes examples with decimals. Dividing by 10, 100 or 1000. Includes examples with decimals. Revise all mental strategies in the series. Set of 5 assessment tests to check on how students are progressing with each of the units in the Mental Strategies series of worksheets. Set of 10 homework sheets to match each of the sets in the Mental Strategies series. Contains information for parents.